Simon & Schuster Books for Young Readers, 9781442420359, 384pp. Sky has more monsters to fight—and lives to save—in the sequel to Return to Exile. Sky thought he had problems before. “Before” as in when his uncle disappeared, he had to move to an odd new town with his family, and, oh yeah, it was up to him to make sure the world’s deadliest monster didn’t escape from his prison. But none of that compares to now. “Now” as in when the entire Hunters of Legend are coming to Exile with one mission: kill Sky. Well, Sky thought there was only one mission, but the longer he stays alive, the more he realizes that there is something else afoot. And all those friends that he kept in the dark to keep them safe? Turns out he might have to ask them to risk their lives yet again to stop an unspeakable evil from wreaking havoc on the world. 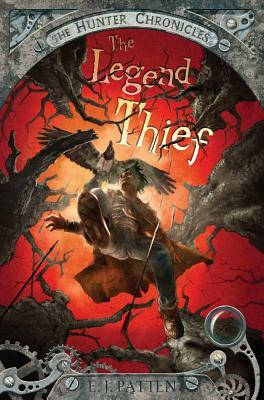 With art from the illustrator of the Percy Jackson series and praise from New York Times bestselling writers—including Brandon Mull, author of the Beyonders and Fablehaven series, and James Dashner, author of The Maze Runner and The Scorch Trials—The Hunter Chronicles blend bravery and humor into a breathtaking adventure.